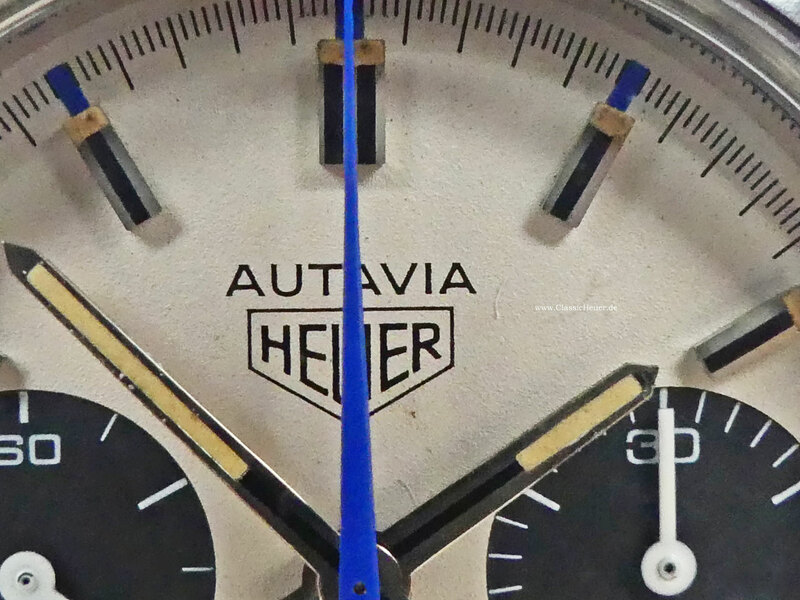 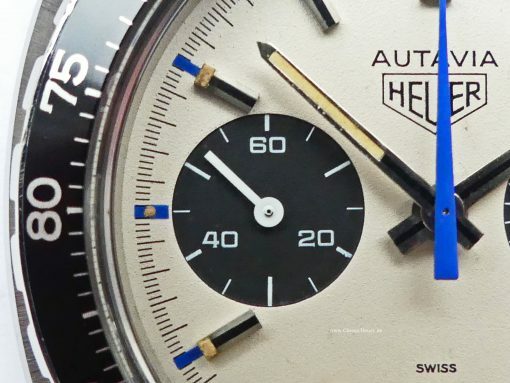 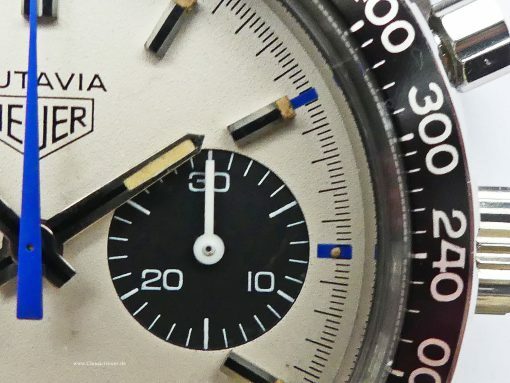 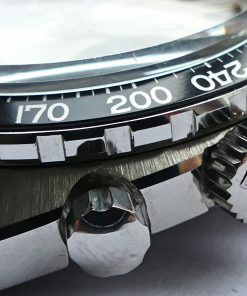 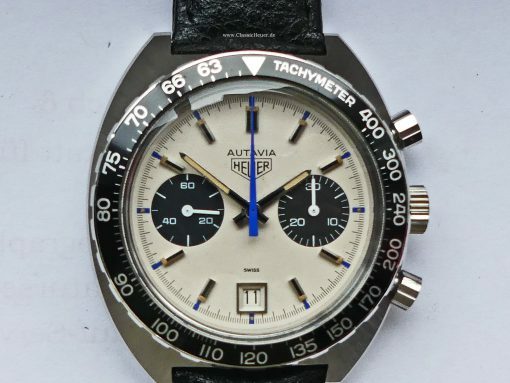 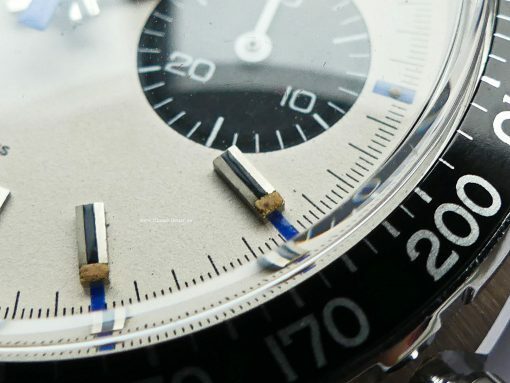 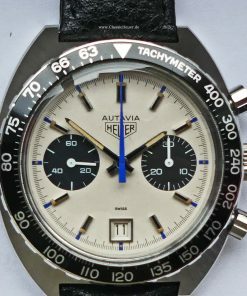 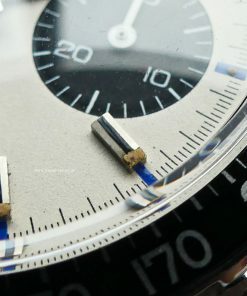 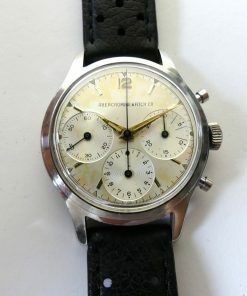 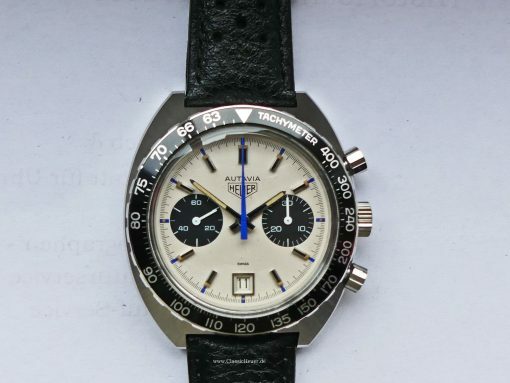 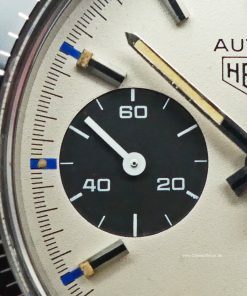 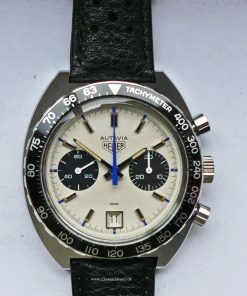 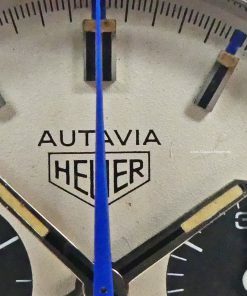 Autavia chronograph in 1970ties style! 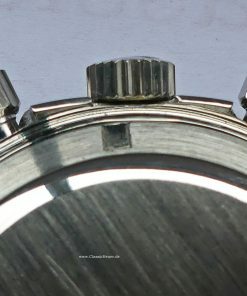 This stunning model with manual winding movement calibre Valjoux 7734 dated beginning 1970ties has the reference 73463T. 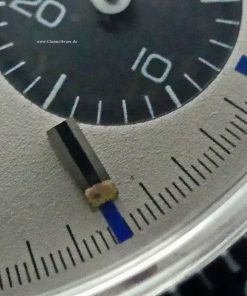 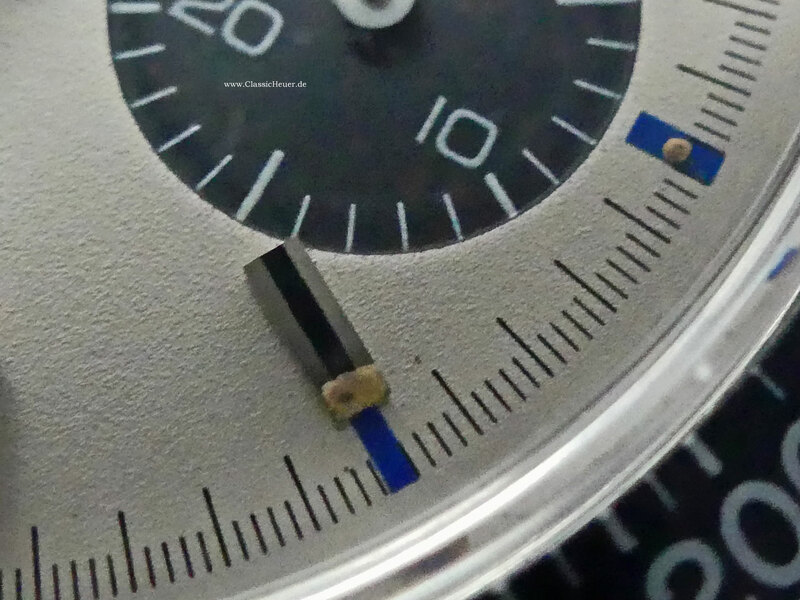 Beautiful white dial with two black subdials, date indicator on 6 o´clock and blue chrono hand and indices. 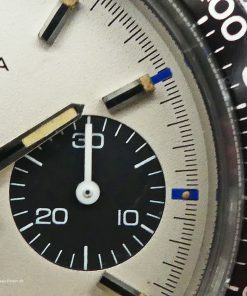 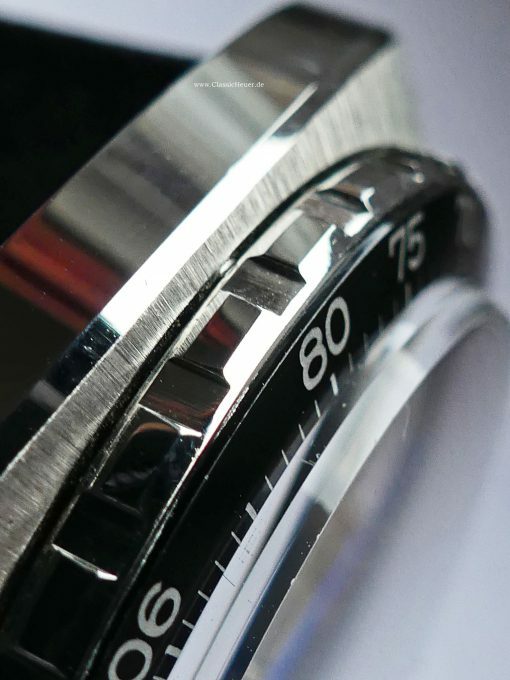 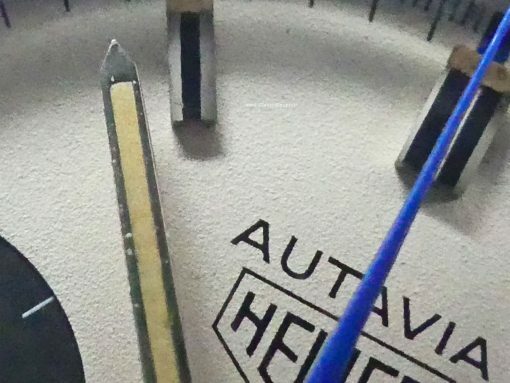 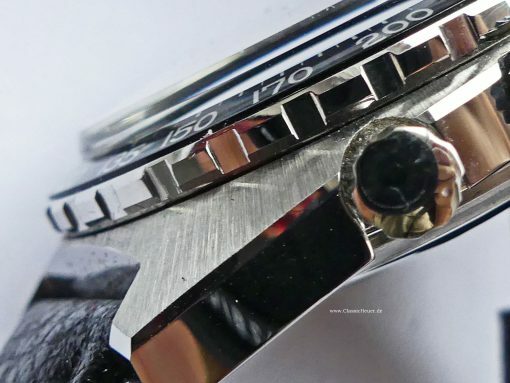 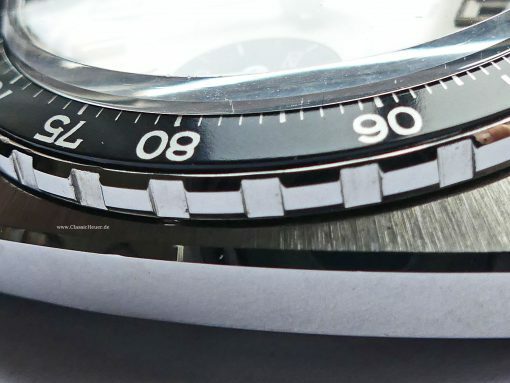 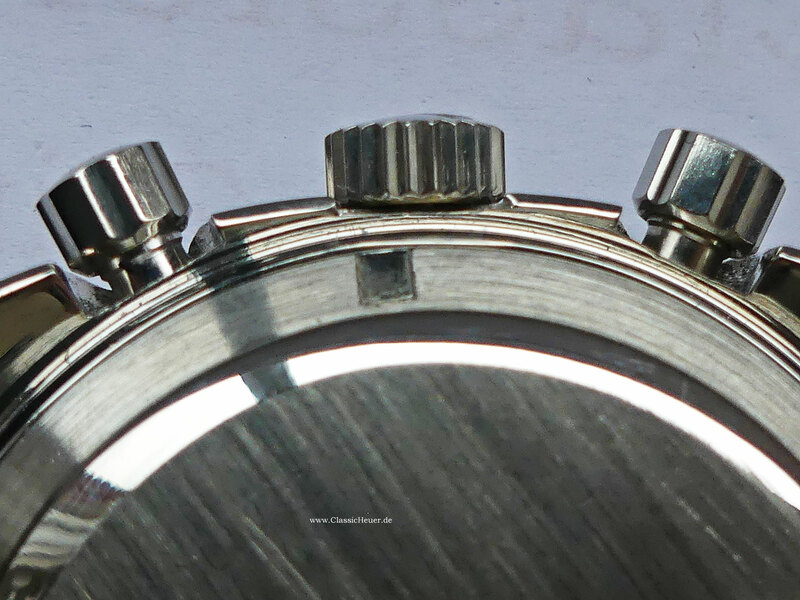 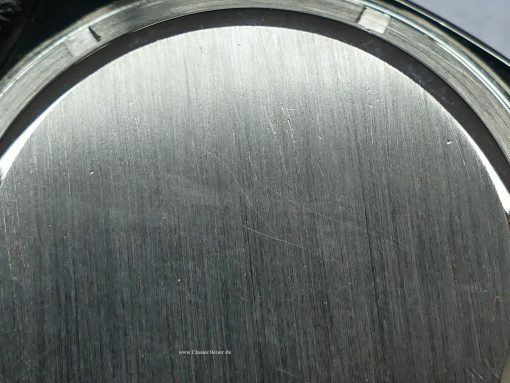 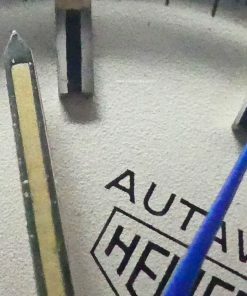 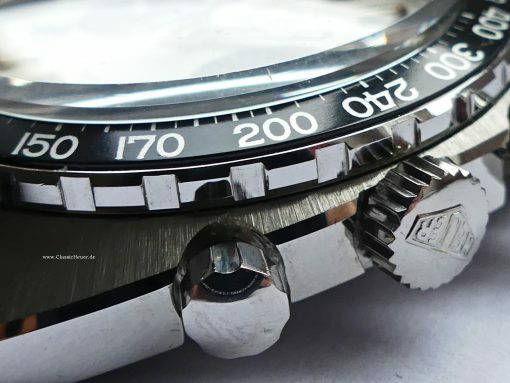 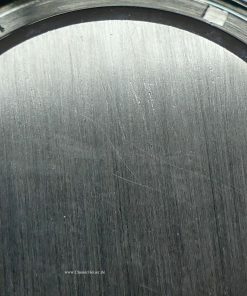 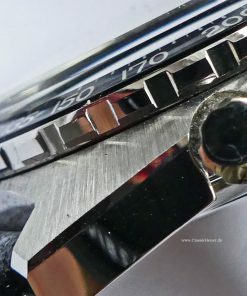 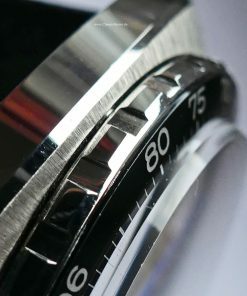 Absolutely fine condition of turning bezel (tachymeter scale). 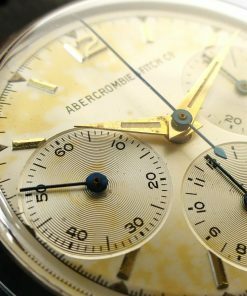 Original, authentic condition and unpolished. Related to Jo Siffert automatic chronograph because of the white and blue colors combination. 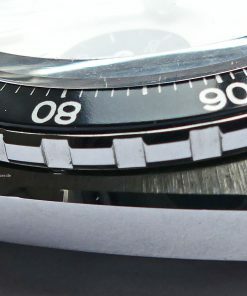 The watch was worn but is still in nearly perfect condition.